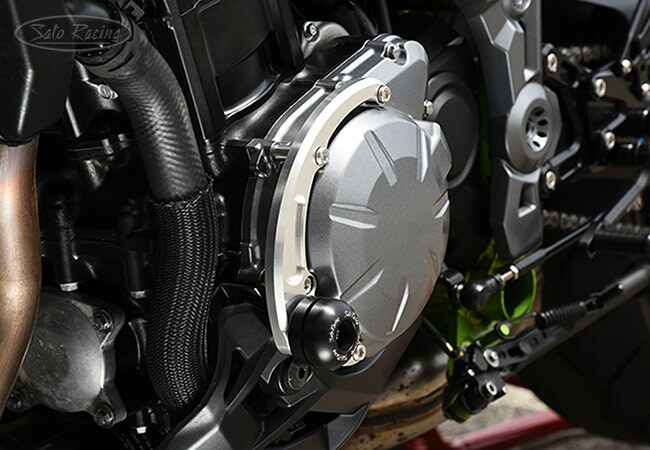 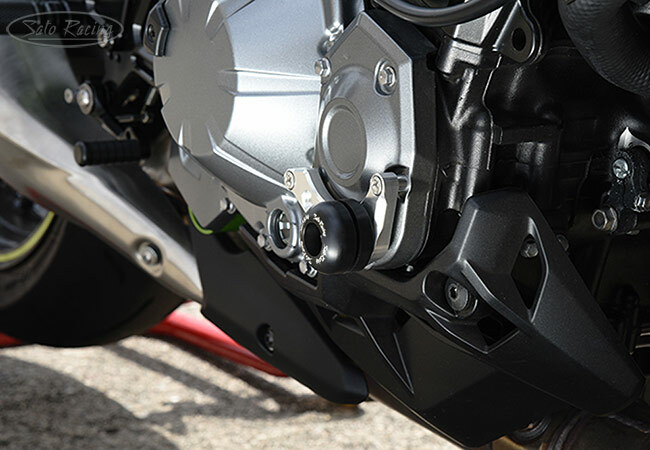 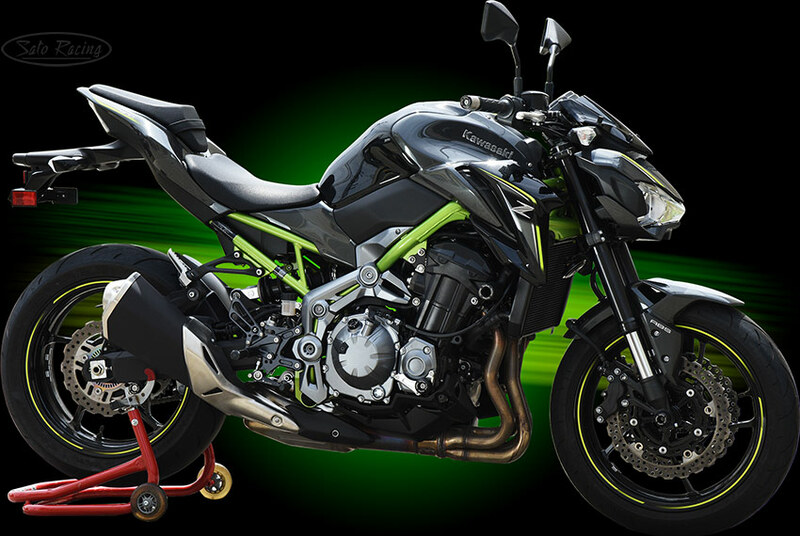 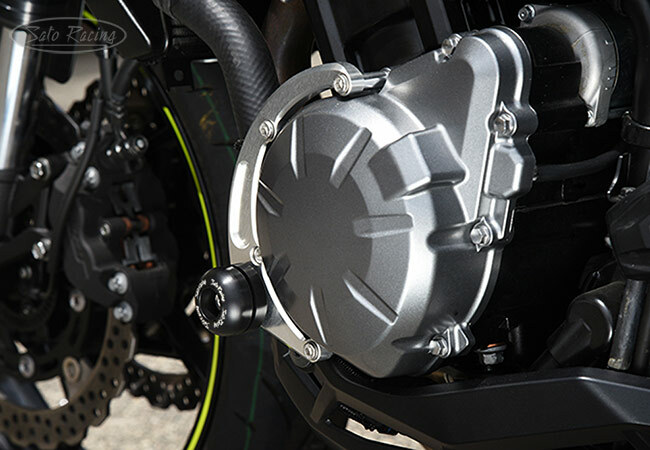 SATO RACING Frame Sliders and Engine Sliders for 2017-19 Kawasaki Z900 (ZR900B) utilize slider pucks made of tough, abrasion-resistant DELRIN plastic for excellent slide performance, protecting the bike from potentially serious damage if you lay it down at speed on the track. 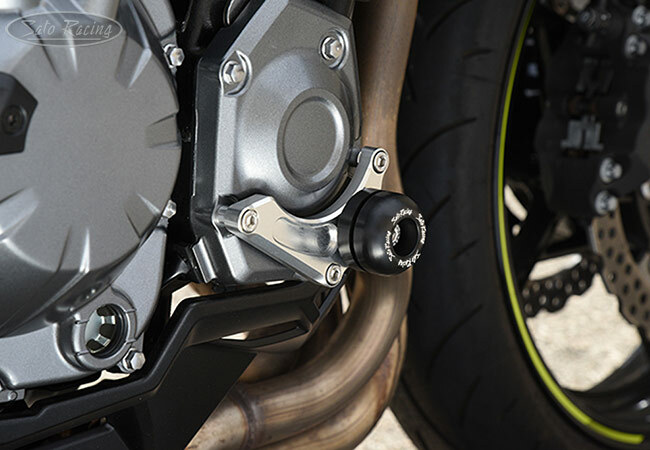 Our Frame Sliders are attached to the frame with chrome molybdenum bolts, protecting the upper bodywork and other exposed parts from scrapes or more serious damage, while the Engine Sliders (sold separately) attach around the engine case, protecting the lower section of the bike. 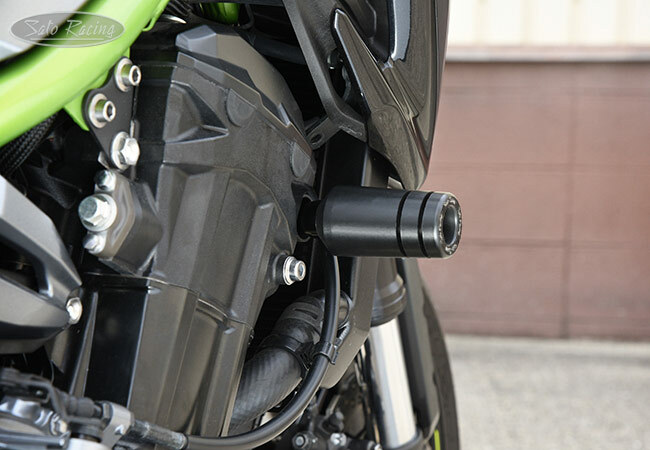 This model of Frame Sliders also fits the 2018 Z900RS. 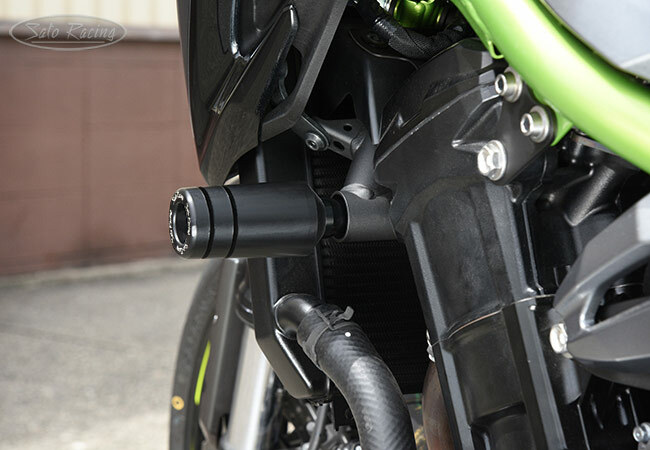 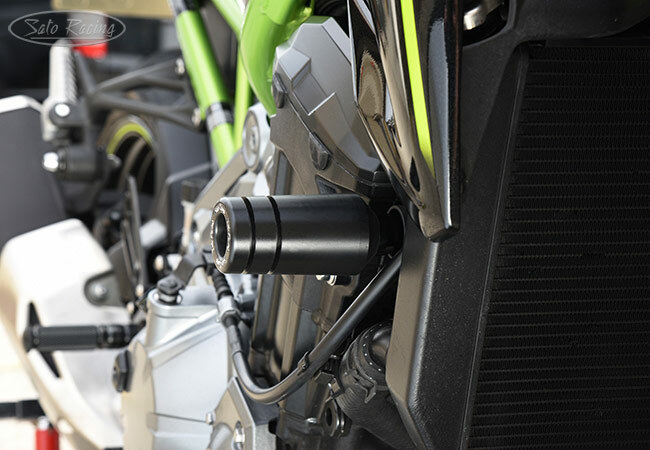 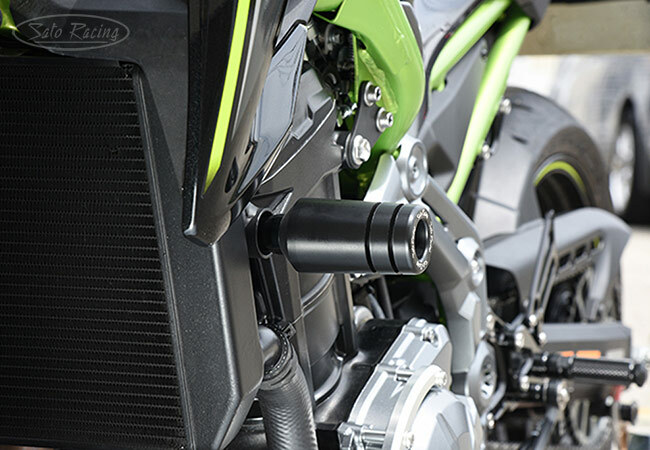 To see these Frame Sliders installed on a Z900RS, click Here.